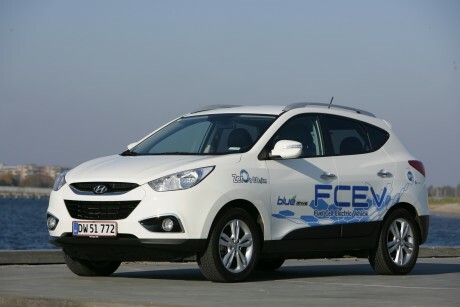 Currently there are a limited number of hydrogen fuel cell cars available on the market. With the latest launch seeing the Toyota Mirai being released. We currently rate this as the top fuel cell vehicle available on the market. Officially released in 2015 this is the first mass-produced hydrogen fuel cell vehicle. This fuel cell vehicle is classified as a mid-size four-door sedan, comprising of a front engine, front-wheel-drive layout. The vehicle utilises a fuel cell to produce electricity. That in turn powers an electric motor, while also storing energy in a 1.6 kWh nickel metal hydride battery. 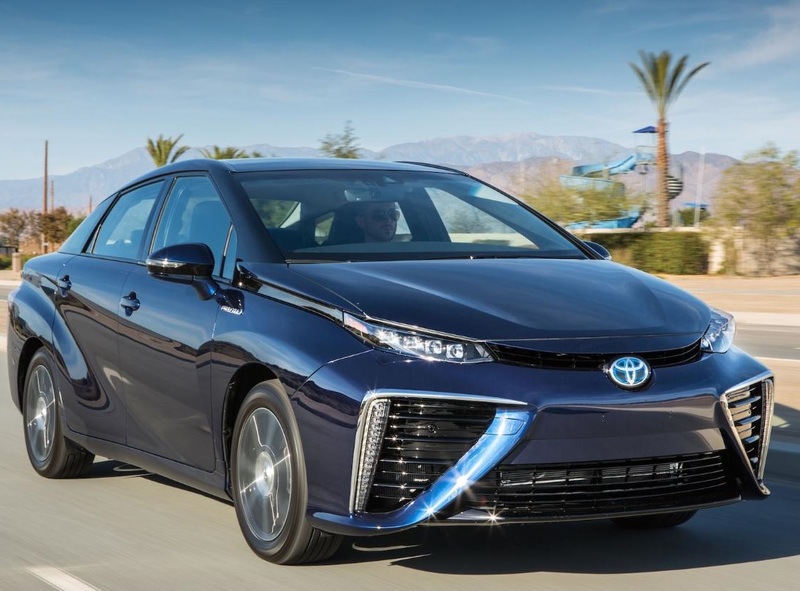 The Mirai has a range of 404 miles, this is the largest range ever achieved from a production hydrogen car. The word Mirai in Japanese means ‘future’ and this really is a vehicle of the future producing zero CO2 emissions. One of the first hydrogen fuel cell vehicles to be sold commercially the Mirai was not actually unveiled until November 2014 at the LA Auto Show. During 2015 Toyota plans to build 700 of these vehicles although in Japan the vehicle has already been sold from December 2014 at a price of US$57,000. However like in many countries prices will be subsidised by government incentives. Sales in the US are scheduled to start in mid-2015 at a price of $57,500 before any government incentives. California initially will see the launch, then sales will progress through into Europe in September 2015, initially only being available in the UK, Germany and Denmark other countries will follow in 2017. Prices in Germany will be €78,540 inclusive of VAT. The Mirai is extremely smooth to drive with very little vibrations. The vehicle is also very quiet this does take some getting used to. One advantage of the hydrogen fuel cell, is the fuelling time, as it only takes around five minutes to completely refuel the vehicle to give you a range of over 300 miles. This is slightly longer than what you’d get with the conventional combustion engine. This is however significantly longer than the range of many current electric vehicles with the exception of the Tesla model S.
Hyundai ix35 FCEV or Tucson FCEV is being released the summer of 2015 on a $499 per month, three-year lease and plans to sell a grand total of 60 vehicles this year in Southern California. The latest release from Hyundai has evolved from the Santa FCEV which was originally introduced in 2001 as a fuel cell vehicle with a range of around 100 miles and with top speeds of 78 mph. The latest release ix35 FCEV has evolved from the second-generation Tucson that was introduced in 2005 which utilises a graphite bipolar plate fuel cell giving this vehicle a range of 186 miles, and top speeds of 93 mph. The third generation ix35 FCEV launched in 2009 utilises semi-automated production and metal bipolar plate. This has evolved into the current fourth generation ix35 FCEV. The Tucson ix35 FCEV has a more powerful 100 kW power rating which is equivalent to 134 hp, this vehicle has a range of around 369 miles. The increase in range is mainly due to the larger hydrogen fuel tanks in the Tucson due to the increased size of the vehicle. In addition to this higher storage pressure as well as other fuel cell technology advances has contributed to this increased in the range. This vehicle utilises a proton exchange membrane fuel cell. Honda's new hydrogen vehicle arriving in 2016. 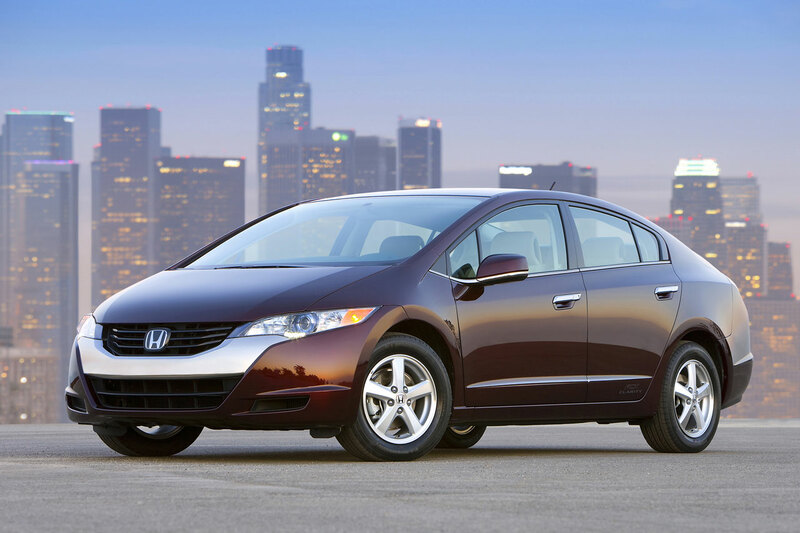 (Honda recently discontinued the FCX Clarity, but only leased 45 in the US between 2008 and 2014). The Honda FCX Clarity is also being developed as a commercially viable hydrogen fuel cell vehicle by yet another Japanese automotive manufacture. The vehicle is based on a mid-size, four-door sedan utilising a 100 kW fuel cell to power an electric motor with a direct drive transmission. The range of the clarity is around 240 miles. The design is based on the 2006 Honda FCX concept, producing zero CO2 emissions. Being driven by an electric motor the Clarity utilises a hydrogen fuel cell to generate electricity. Unlike other electric vehicles this fuel cell vehicle offers a five minute refuelling time and a longer range. Production began in June 2008 and sales began in November 2009, with cars only available on lease in the US or Japan and Europe. Only customers living in Southern California are able to use this vehicle as there are several hydrogen fuelling stations available. From 2010 at around $600 per month there were around 20 FCX Clarity cars on lease. The initial model production was ceased in 2014 awaiting the new and upgraded 2015 model. BMW has announced a prototype fuel cell drive module, and has agreed to share technology with Toyota. Most other automakers, including GM, are also testing fuel cell vehicles. 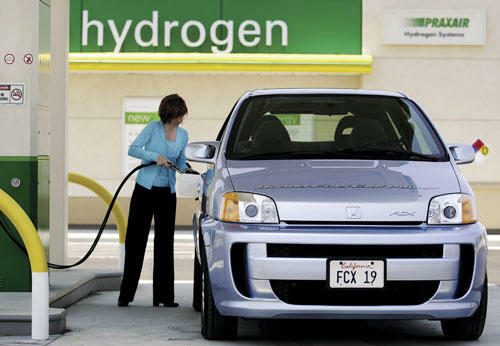 See hydrogen fuel cell new cars for more info. The UK Government believes their could be half a million hydrogen cars on the UK roads by 2030, they have mapped out their plans of how the Government manage the future of hydrogen powered cars.